Sister Marie Virginia Walters, OP, shares hundreds of humorous true stories told by Sinsinawa Dominican sisters through the years with her new book, “In Good Humor: Lighter Moments from Sinsinawa Dominican Sisters.” From the Sisters’ days as teachers at Catholic schools around the nation to their current ministries helping those in need, readers will delight in each memory shared and receive a glimpse into the lives of Catholic Sisters. • by calling 608-748-4411, ext. 848. 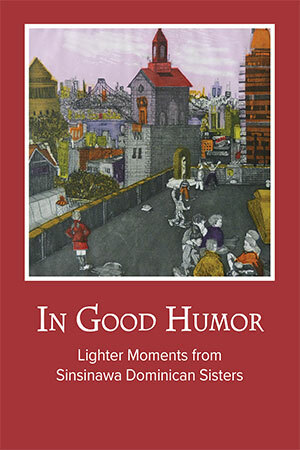 In Good Humor is being offered for a short time at a special introductory price of $8. Regular retail is $9.95. Sinsinawa Mound, the Motherhouse for the Sinsinawa Dominican Sisters, is located in southwest Wisconsin on County Road Z, off Highway 11, about five miles northeast of Dubuque.